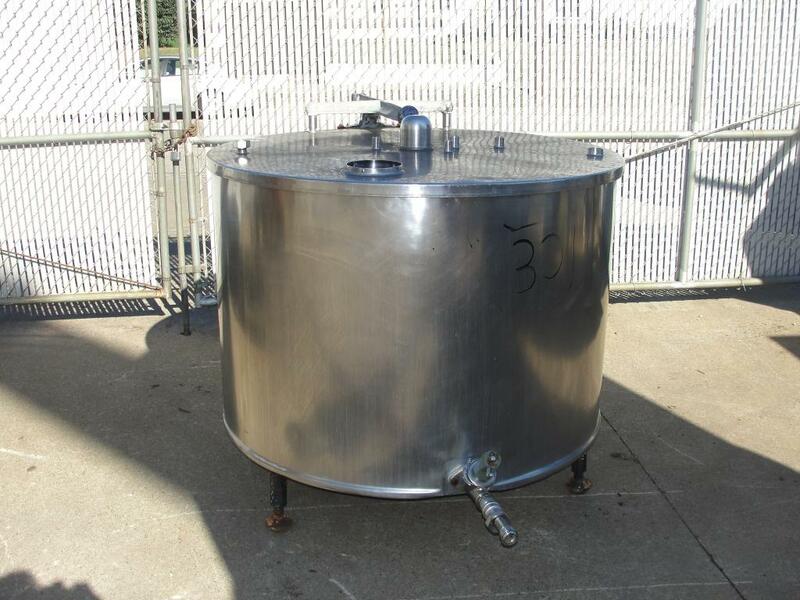 250 gallon stainless steel jacketed kettle with convex bottom manufactured by Pfaudler.Kettle jacket is rated for 125 PSI. 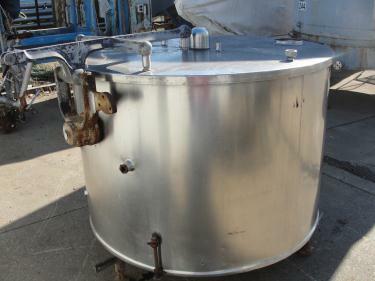 Kettle inside diameter is 50" with 32" straight side. Flat top lid has Pfaulder lifting device without counter weight. 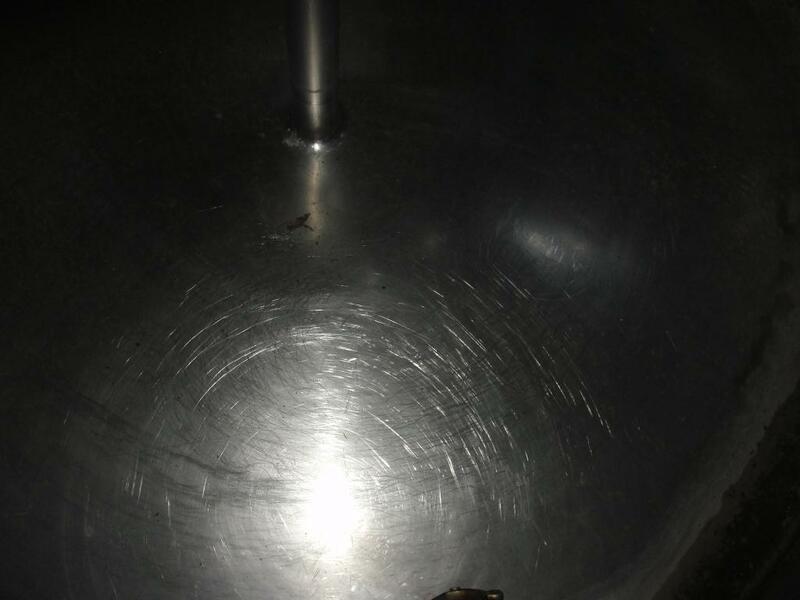 Lid opening are one 5-3/4" hole, one 1-1/2" coupling, two 1" coupling, and three 3/4' coupling. Side nozzles are one 1-1/2" drain with valve and fittings, two 1" threaded couplings, one 1" coupling, and one 3/4" coupling. Jacket tested to 97 PSI.